What makes a good toy great? Let's see… A great toy should be fun and interesting, inspiring a play that will develop our child's mobility and skills. 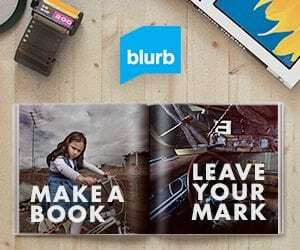 It should comply with all the safety precautions, and ideally, keep the children entertained for prolonged periods of time, so that we can also get things done for ourselves. Here are our top ten toddler gifts. This four-wheeled, wide-legged ride-on is an award-winning ride-on toy. Shaped like a friendly, smiling face, the steering wheel's two cut-out “eyes” serve as handholds. Its two front legs extend in all directions, providing stability and support while a child develops balance for walking. With adult supervision, it can also assist children 9-12 months old in developing the balance necessary for independent walking. Minimal assembly using the included tools. Supports one child up to 44 lbs. Ages 9-36 months. Scuttle Bug is innovative foot to floor trike for toddlers. Designed in Belgium, it has quickly conquered Europe with its usefulness and practicality. Scuttle Bug folds in three easy steps, so you can carry it anywhere. It has great maneuverability and is very versatile; kids love it. Available in blue and pink. This deluxe DUPLO® set is the perfect introduction to creative building and play for younger children. 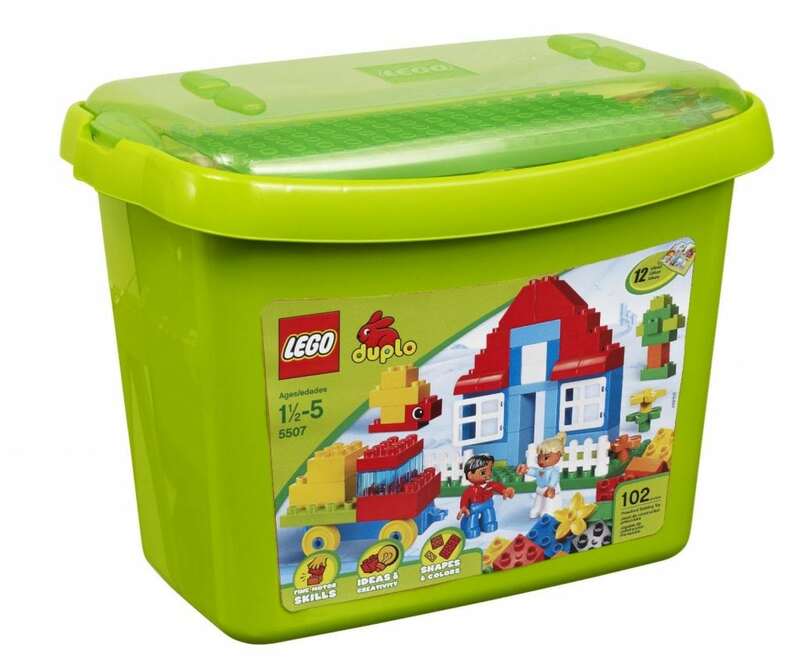 Storage box with transparent lid includes a building plate and lots and lots of safe, durable and colorful construction bricks, with plenty of special shapes and designs to help imaginations grow. Includes large 8 stud x 16 stud DUPLO baseplate! Includes lots of special elements like windows, a swing, wagon bottom and more! 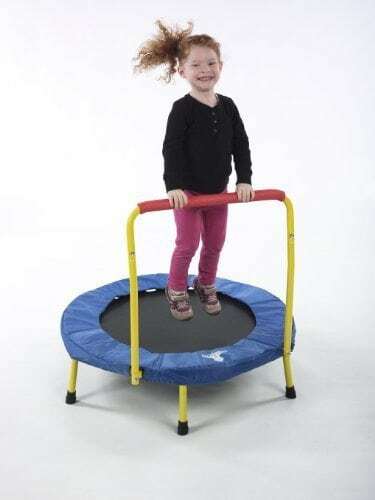 The Original Toy Company Fold & Go Trampoline (TM) is a favorite toddler activity toy. It has an easy to grip handle and is suitable for both indoor and outdoor use. Made with a tough weatherproof mat and tubular steel frame with a durable coated finish. For extra safety, the padded cover around the mat cushions the frame and prevents children from stepping through the bungee cord. Great for Special Needs kids. Disassembles just as easily and its ready for travel or storage. The Crayola Bath product line brings the color, fun, creativity and imagination of the Crayola brand to bath time. 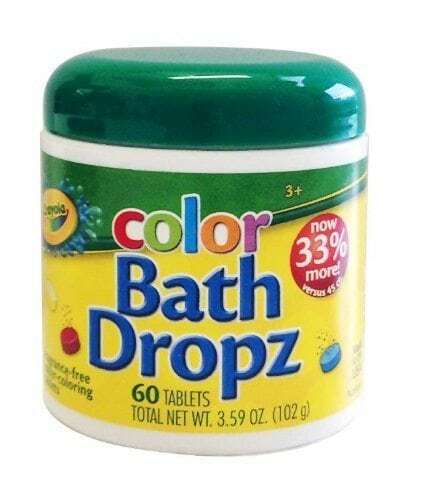 Crayola Bath Dropz are fizzing water color tablets that turn ordinary bath water into colorful, fizzy water. Kids can create their own are masterpieces on tile or tub walls-everything washes off quickly with water. 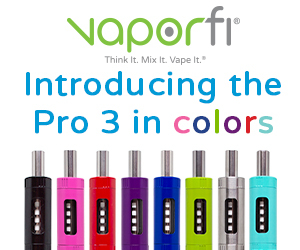 Great colors, great packaging. 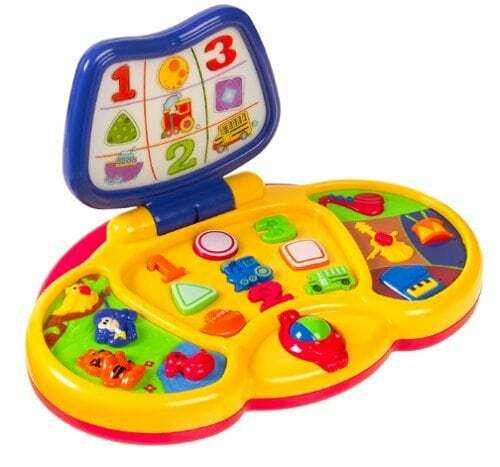 As any parent will tell you, nothing gives more joy to toddlers than having the opportunity to press buttons, anywhere they can find them, on a microwave, washing machine, stereo equipment… The Preschool Laptop is thus an ideal toy, packed with fun activities and rewarding lights and sounds – a great way to introduce kids to computers. The realistic mouse activates a matching games, while the colorful buttons teach numbers and makes sounds. Pictures light up on the screen when clicked to provide visual stimulation and teach cause-and-effect. These beautiful wooden blocks are inspired by the work of Catalan architect Antonio Gaudi who conceived the Sagrada Familia Cathedral in Barcelona. The blocks depict Gaudi's famous unique style and highly individualistic designs and cylindrical structure. The colors and forms of these blocks inspire children's imaginations and structural possibilities. 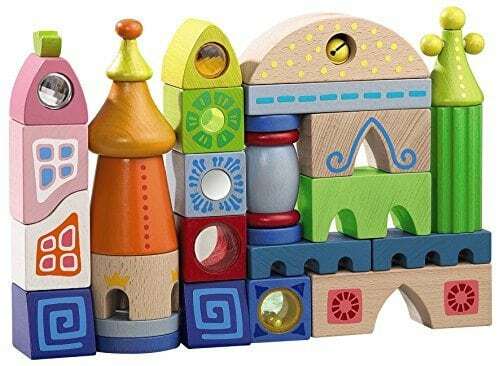 Contains 25 wooden blocks of different shapes and colors. This set include a block with rattle, bell, mirror, prism, magnifier and peep hole. The fuzzy Monster Bowling Set will bring countless hours of entertainment to the family. This wacky bowling set features six furry, funky-textured pins and one beasty ball. As the name suggests, this is a large U-shaped mat designed to facilitate easy and playful interaction between the child and the parent or a tutor. The child sits inside the opening of the “U” with full visual and tactile access to the mat, without having to crawl atop. Fifteen theme-based cards are inserted into transparent pockets on the mat surface to engage the child in a variety of exercises. This great cognitive development tool was invented by Dr. Jen, pediatrician and mother of two sets of twins. 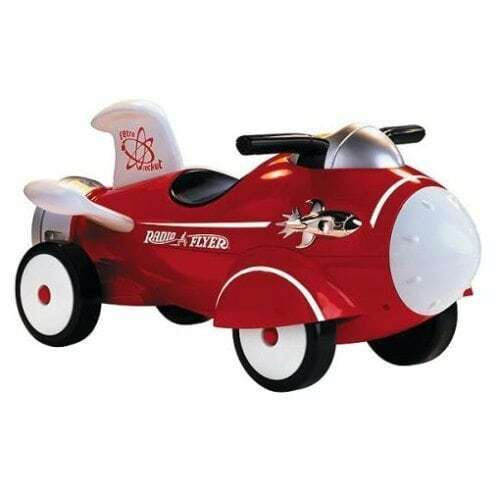 A beautifully designed old timer, The Retro Rocket features classic styling and quality craftsmanship that can be passed on for generations of imaginative children to come. There is a 3-2-1 Blast Off feature that puts kids “in the driver seat”. Rolling wheels activate working lights and realistic astronaut and space sounds. This Radio Flyer's ride-on makes childhood dreams soar. My nephew has the scuttle bug! He’s the cutest thing in the world when we go for walks:)), and he loves it! U-Play Mat is a great thing, both a game and learning aid, and allows you to interact with your kids in a fun way. I’ve been using it with my twins and it’s the single most valuable “toy” we have. It’s nice to see it here on this list. It’s my number one! That is a great selection of toys. Cheers! i am like addict on trampolines, they are very nice addition to you gaming stuff. glad to see it on this list.